Over the past few weeks, hundreds of protests have gone down across America against the rampant spread of police brutality and in opposition to grand jury decisions to not indict two police officers who killed two unarmed black men, Eric Garner and Michael Brown, in separate incidents. Several hashtags and slogans have arisen in the aftermath of the court decisions, including “I can’t breathe,” Garner’s last words and a rallying cry for a modern American movement. Of course, there will be people looking to capitalize on the popularity of a much-needed call for social change and an Illinois woman is looking to trademark “I can’t breathe” so that she can sell product. Catherine Crump, a Waukegan, Illinois resident, wants the rights to the phrase so she can use it on hoodies and T-shirts. 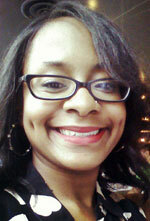 She has sent in a petition to the United States Patent and Trademark Office for rights to use the phrase. Crump says that she had filed for a trademark August 18, a month after Garner was killed in the street, and that her request has “nothing to do with the Garner family,” though she seems perfectly comfortable making a few dollars off the death of its patriarch. 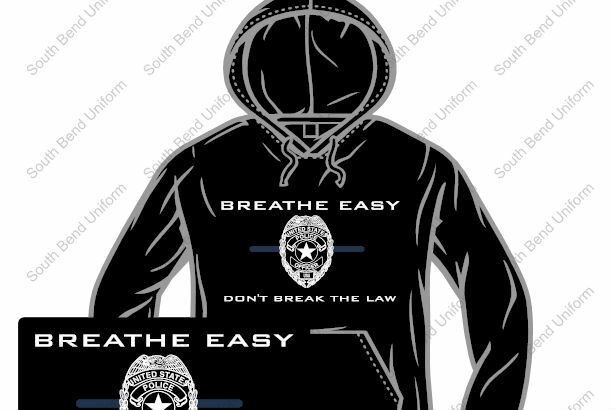 In Indiana, a police officer is selling T-shirts reading, “Breathe Easy, Don’t Break the Law,” which several outraged parties took as a reference to Garner’s tragic killing. Jason Barthel, the man behind the controversial tees South Bend Uniform is peddling, offered a poor defense of the shirts on his store’s Facebook page, saying, “For those upset, please understand when we use the slogan ‘Breathe Easy’ we are referring to knowing the police are there for you!” Clearly Barthel is unmoved by the tone deafness of his slogan, or the fact that it sounds more like a threat than a reassurance. On South Bend Uniform’s website, the T-shirt is being heavily promoted as well as other merchandise bearing the phrase. The site encourages shoppers to “make a statement” this holiday season with sweatshirts, caps, long-sleeve shirts and more. In a volatile time such as this, business-minded people are naturally going to want to profit over a social movement as they have a right to do. But it is hard for any empathetic human being to not be at least a little disgusted with the trivializing of such terrible events. There is a difference between providing a supply to support a greater cause (like street vendors in New York City selling “I can’t breathe” T-shirts) and selfishly exploiting a social movement. There is no word on whether the patent office has granted clueless Crump her trademark, but something, possibly a blind faith in humanity, tells us she probably won’t get her way on this one.